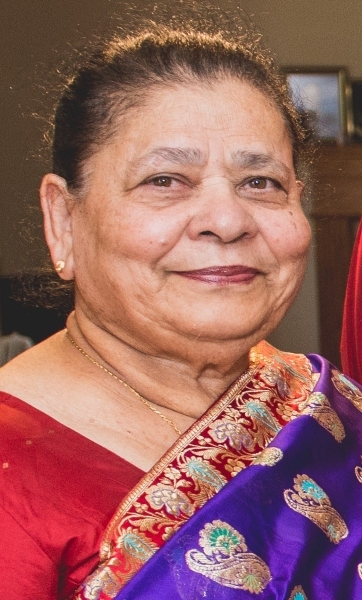 Divina Lilia Singh (Sequeira) - Edmonton's Burial & Cremation Professionals | Trinity Funeral Home Ltd.
Divina passed away, surrounded by her loved ones, at the age of 77. She is survived by her loving husband of 41 years, Jasbeer, her sons Ajit (Brendan) and Raj, and her daughter Nina (Christopher). Divina was born with and lived a life of strength. She had conviction in her beliefs, a powerful sense of self, and a fierce instinct to protect the people she loved. She worked with dedication as a registered nurse for 48 years, in military and then civilian life. She practiced with the highest degree of ethical standards, and had a reputation of being a person who provided deeply compassionate care to her patients. To say she will be forever missed conveys the limitations of language. Today we bid farewell to a good friend of us. She endured a lot of pain but never uttered a word of curse or shown hopelessness. She kept her faith intact and fought a good fight until her last breath. May the Good Lord comfort all her family members and friends who are bereaving of her demise. Goodbye from all of us Divina. Jasbir I am truly sorry for your loss.